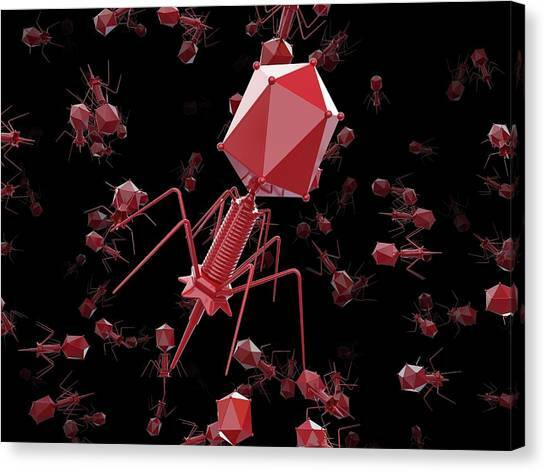 Bacteriophage T4 Viruses is a photograph by Maurizio De Angelis which was uploaded on July 24th, 2016. 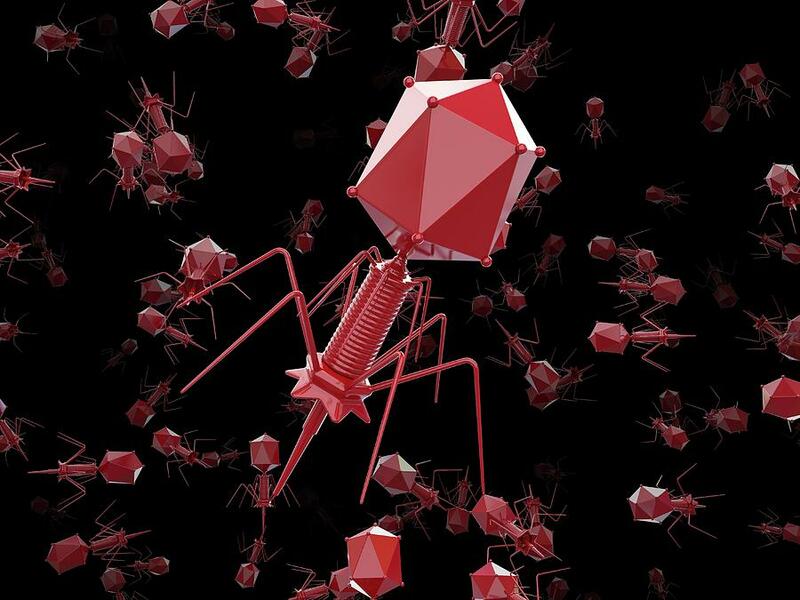 Bacteriophage T4 viruses. 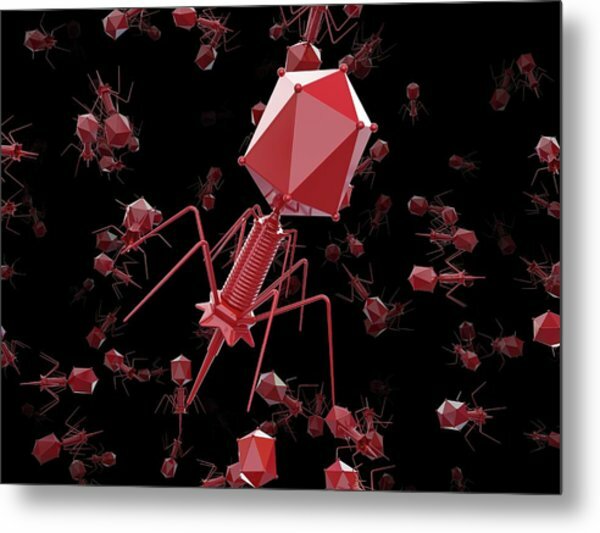 3D computer illustration of multiple T4 bacteriophage viruses. 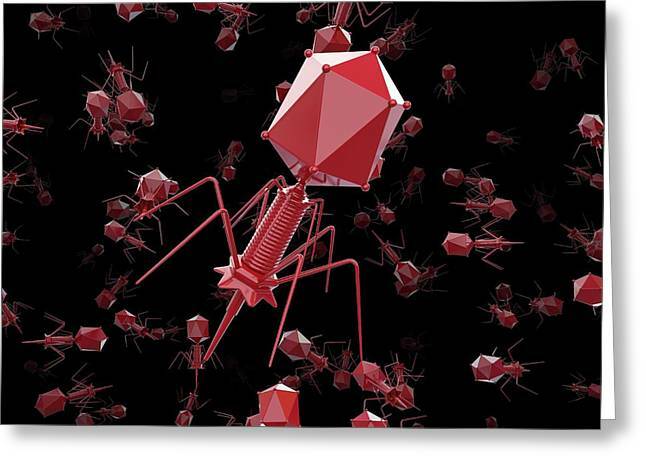 A bacteriophage, or phage, is a virus that infects bacteria. Enterobacteria T4 infects E. coli bacteria. 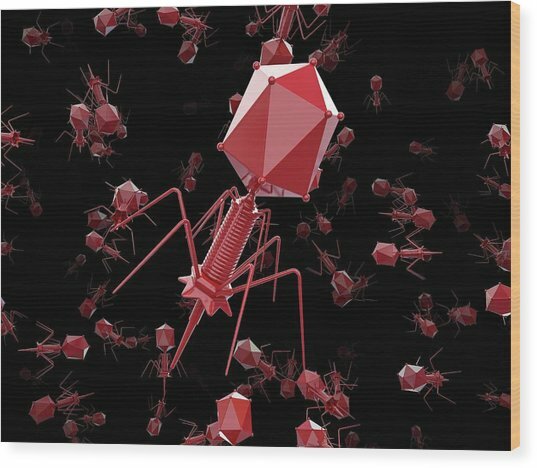 It consists of an icosahedral (20-sided) head, which contains the genetic material, a tail (cylindrical) and tail fibres (leg-like). 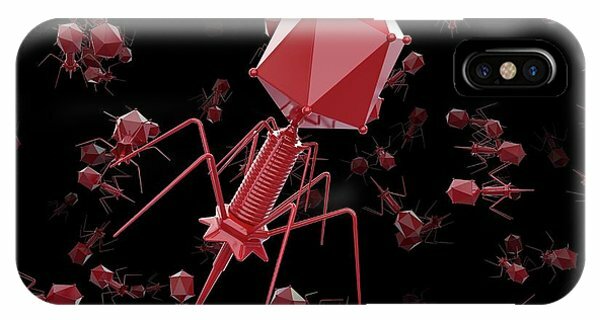 The tail fibres attach to the surface of the bacterium and the tail injects a DNA (deoxyribonucleic acid) strand into the cell. 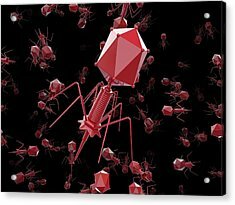 The viral genetic material then hijacks the bacterium's own cellular machinery, forcing it to produce more copies of the bacteriophage. When a sufficient number have been produced, the phages burst out of the cell, killing it in the process. 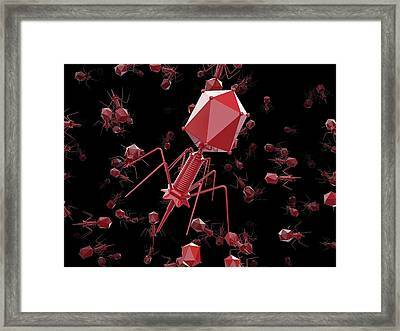 There are no comments for Bacteriophage T4 Viruses. Click here to post the first comment.